Lube, Oil and Filter. Preventative Maintenance Inspection. Our oil changes include up to ... [More] 5 quarts synthetic blend oil, multi point inspection, tire rotation if needed, fluid top off, belts and hoses inspection, battery check. $25 Off Air Conditioning Service. Our expertise as Air conditioning service ... [More] pros is second to none. After 25 years as one of Orange county’s best AC and Radiator shops there is nothing we’ve not seen. Dealerships would bring us their problem AC diagnostic problems. Still get some! H B Auto & AC’ seasoned service and repair team is proud to work on KIA vehicles and to help their owners keep them at the highest of standards for many years. 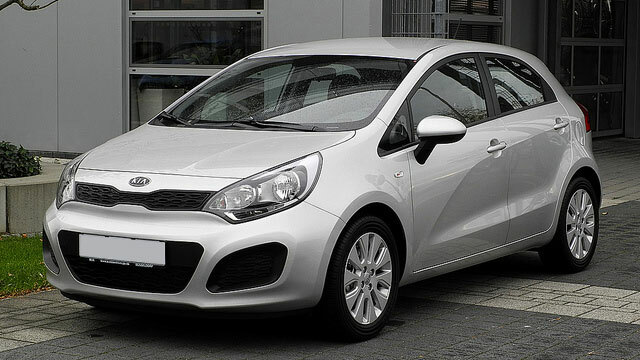 KIA currently produces several well-known cars: the Rio, Soul, Forte, Optima, Cadenza, Sportage, Sorento and Sedona are all frequently seen on the road in Huntington Beach, CA. H B Auto & AC’ professional team are experts at keeping these cars operating the way they were made to. Just because these cars are affordable to buy doesn’t mean that our diligent staff doesn’t take them seriously. They know that your car is a big investment, and they want to help you maximize what you get out of it. KIA relies heavily on technology and so do our expertly-trained, ASE-certified technicians. We use computerized diagnostic equipment on cars of all makes and models, and we’ll be sure to use it on your KIA so we can get a complete picture of what it needs. Call H B Auto & AC today at (714) 316-0412 to speak with our knowledgeable staff or stop in at 7332 Autopark Dr Huntington Beach, CA 92648 so that we can schedule an appointment for your KIA vehicle.